Seleni is pleased to announce that we have recently been recognized as an approved provider of continuing education (CE) for licensed social workers by the New York State Education Department's State Board for Social Work. Seleni is also recognized as an approved CE sponsor for psychologists through the American Psychological Association. As a result, social workers and psychologists who complete Seleni’s two-day Maternal Mental Health Intensive (MMHI) training will receive CE credit. Our MMHI training equips mental health providers to fully support their clients through the mental health issues specific to the family-building years, including perinatal mood and anxiety disorders and loss. 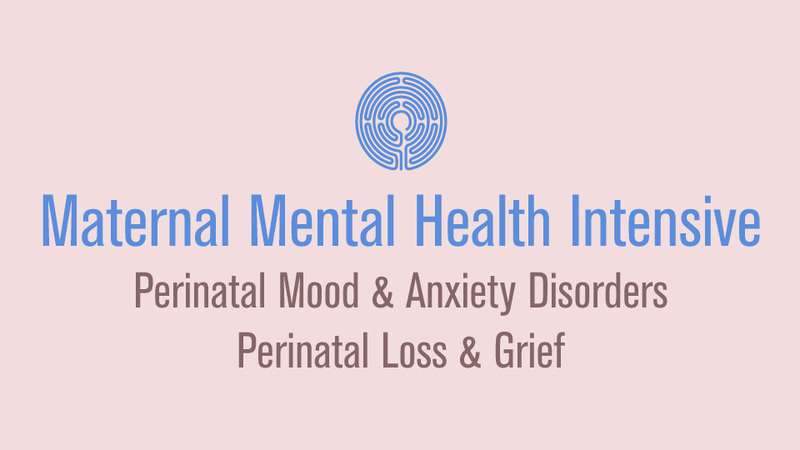 Perinatal mood and anxiety disorders – including depression, anxiety, obsessive-compulsive disorder, panic, and post-traumatic stress disorder – are the most common complications of pregnancy and yet are routinely underdiagnosed and undertreated. It is critical that clinicians receive evidence-based training to screen for, diagnose, and treat these conditions. Executive Director of the Seleni Institute. "At Seleni, we see an opportunity to close this gap, changing the way we treat emotional health both for our generation and future generations. Recognition by the New York State Education Department’s Board for Social Work is a huge step in providing healthcare professionals the support they need to change the way we treat mental health." Our recently expanded Maternal Mental Health Intensive Training draws on our clinical team's years of experience providing psychotherapeutic treatment to women, men, and their families experiencing perinatal mood and anxiety disorders and perinatal loss. • Examination of theoretical and clinical applications for perinatal mood and anxiety disorders, screening instruments and models of intervention and effective counseling and psychotherapy practices as well as principles of perinatal psychiatric care. • Ways to differentiate between normative and non-normative grief and in-depth exploration of various psychotherapeutic approaches. The training includes activities to help clinicians become more aware of their personal thoughts, feelings, and experiences, which can play an important role in their effectiveness. • Special coverage of factors that may influence how patients experience PMADs, grief, and loss. These include considerations for ART/third party reproduction, minority and low-income patients, LGBTQ+ patients, fathers, immigrants, and young parents. • Activities to help clinicians become more aware of their personal thoughts, feelings, and attitudes, which can make treatment more effective, bolster confidence, and prevent burnout. This training is appropriate for psychologists, psychiatrists, psychoanalysts, social workers, nurses, mental health counselors, physicians, graduate students, marriage and family therapists, pastoral counselors, and midwives. After successful completion of the coursework, participants will receive a certification of completion, a digital badge for their professional website and LinkedIn profile, a permanent listing and link on the Seleni website, and continuing education credits if applicable. The Seleni Institute is a global nonprofit organization dedicated to supporting the emotional health of individuals and families during the family-building years to improve the lives of our generation and future generations. With our partners, we treat, train, support, advocate, and provide research funding. The organization was founded in 2011 to destigmatize and transform mental health and wellness. Seleni Psychology Counseling and Support, PLLC is recognized by the New York State Education Department's State Board for Social Work as an approved provider of continuing education for licensed social workers #SW-0477. 42 women and 10 men braved obstacles, pouring rain, and hundreds of stadium stairs to raise money – and awareness – in support of women's mental health.